I reformatted the site recently and it looks better. The downside is that the old posts look terrible, oh well, it's not like I'm going to back and edit them all. Andrew Brady is a talented and prolific guy from my town. He doesn't release albums by the year or even month but by the week, even the day! 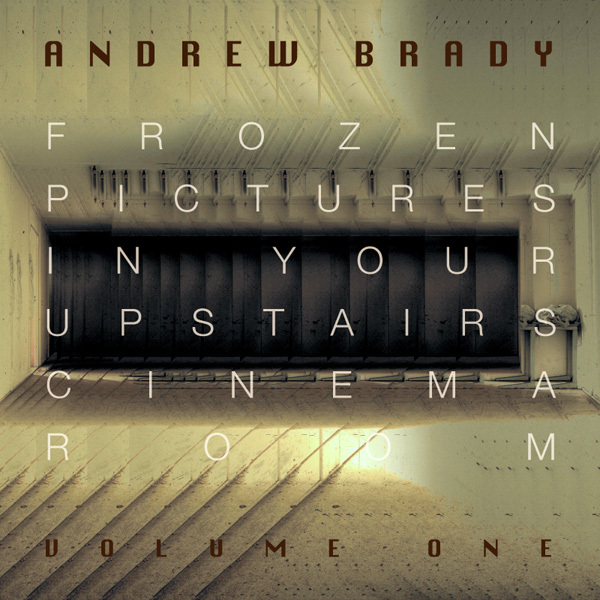 The other day at a moments notice he decided he was releasing his second album of the week called 'Frozen Pictures In Your Upstairs Cinema Room (Volume One)'. I offered to put together a quick digital album cover. And here it is. In other album cover news, I'm working on the debut album from Red Queen Contest. Coming along nicely.